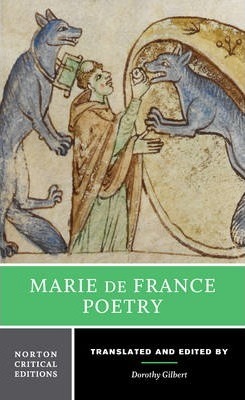 Marie de France was a medieval poet who was probably born in France and who lived in England during the twelfth century. Prominent among the earliest poets writing in the French vernacular, she helped shape the style and genres of later medieval poetry. Each text included here is accompanied by detailed explanatory annotations. Dorothy Gilbert has served on the faculties of the University of California at Davis, Mills College, Merritt College, and the California State University, East Bay; since retiring from the California State University, she has taught in the Fall Program for Freshmen at the University of California, Berkeley. In addition, she has long been secretary of the West Coast branch of PEN, the writers' international advocacy organization. Her publications include a verse translation of Chretien de Troyes' Erec et Enide, the first known Arthurian romance; verse translations of Old French fabliaux and Old English heroic poetry; original poetry in the New Yorker, the Nation, the Iowa Review, PEN Southern Lights Anthology, the online publications Persimmon Tree and Tattoo Highway, and numerous other journals. She has also published science fiction. Her reviews and articles have appeared in Women's Studies, Translation Review, and elsewhere. Dorothy Gilbert has served on the faculties of the University of California at Davis, Mills College, Merritt College, and the California State University, East Bay; since retiring from the California State University, she has taught in the Fall Program for Freshmen at the University of California, Berkeley. In addition, she has long been secretary of the West Coast branch of PEN, the writers' international advocacy organization. Her publications include a verse translation of Chretien de Troyes' Erec et Enide, the first known Arthurian romance; verse translations of Old French fabliaux and Old English heroic poetry; original poetry in the New Yorker, the Nation, the Iowa Review, PEN Southern Lights Anthology, the online publications Persimmon Tree and Tattoo Highway, and numerous other journals. She has also published science fiction. Her reviews and articles have appeared in Women's Studies, Translation Review, and elsewhere.